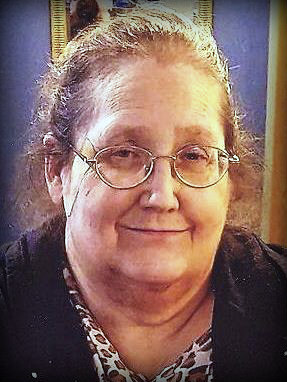 Melinda Gail Rose, age 58 of Nunica, passed away Tuesday, March 26, 2019, after an extended illness. She was born on April 6, 1960 in Grand Haven to Robert and Bonnie (George) Rose. Mindy was a life-long resident of the area and attended Spring Lake High School. Mindy was a loving mother and home-maker who loved to spend quality time cooking for her family. She was always on the move, and enjoyed shopping, gardening, and working on crafts. Mindy was employed as a baker for Wesco prior to her disability. She will always be remembered for her big heart and love of animals. Mindy is survived by her daughters, Andrea and Bonnie Rose of Muskegon; her son, Joshua Rose of Norton Shores; her significant other, Thomas Sullivan of Muskegon; six grandchildren; mother, Bonnie Rose of Grand Haven; sisters, Lisa Curtiss, Deidre Rose, Georgina Rose-Currier, and Faith Rose; brothers, John and Jeff Rose; and several nieces and nephews. She was preceded in death by her father, Robert; and grandson, Azarey. The Memorial Service will be at 1:00 p.m. on Tuesday, April 2, 2019 at Klaassen Family Funeral Home with Pastor Richard Brest officiating. Visitation will be on Monday, April 1st from 6 to 8 p.m. at the funeral home. Memorial Contributions may be made to Bonnie Rose to help with expenses.